It is not entirely clear when John Williams started trading as a mineral water manufacturer, but he was certainly involved in the trade by the age of 22. Williams was born in Denbighshire in circa 1838, according to census records. The first record of Williams, from August 1860, show him in unfortunate circumstances, residing in Stafford Gaol as a result of his debts. The lefthand of the two newspaper extracts below perhaps suggests that Williams had already had to sell his own business, hence it says he is an '...Assistant to a Soda Water and Lemonade Manufacturer, previously of the same place, Soda Water and Lemonade Manufacturer...'. It also shows that he had previously traded in Wolverhampton as a Licenced Victualler and Coal Dealer. Williams used a broad range of bottles, including stoneware ginger beer bottles, glass hamiltons, cucumbers, and notably 'Sutcliffe' Patents. In 1876 he made two patent applications, one for improvements to bottles and stoppers, and one purely referring to stoppers. 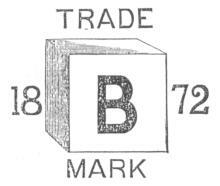 The first patent was not persued beyond the provisional protection stage, but the second, GB1004/1876, was seen through to issue. The stoppers certainly went into production (an example is shown below), and several of his bottles are known bearing the words 'J Williams Patent Stopper Hanley'. From examples of adverts placed by Williams in the Staffordshire Sentinel in 1875, it is evident that he traded under the name of the 'Malvern Mineral Water Manufactory', no doubt playing upon the reputation of the spring waters of the Malvern hills. The last record to Williams is from May 1878, where he has again entered liquidation.